Congratulations on taking the first step in your business transition. We are here to ensure the transition of your business goes as smooth as possible. We promise it won’t be a shock-treatment. There are many things that can hang up a successful business purchase, and we have the experience to help you prepare and avoid common problems. Feel free to leave a note at the bottom of this form to help us answer any questions you might have. Positioned with a vision of the future? The Goal of a well planned Exit Strategy should be to help you answer Yes to all four questions above. If you're not there yet, we can introduce you to several trusted affiliates with proven track records of helping our clients get to where they need to be to attract buyers. Watch and listen on how to prepare your business for sale by Bill Pearsall. 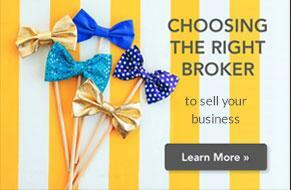 Selling your business may be the most financially important decision you will ever make. Don't you want to make sure your Broker represents your interests? If your agenda is to fraud your partners, your employees, your vendors, your suppliers or the government, we’d like to refer you to our code of ethics. With my 40+ years experience doing business purchases and sales, I refer clients to no other brokers besides Transition360. It’s a pleasure to recommend Tod as one of the finest business development professionals in the region. In addition, he provides value above the role he serves in, looking to bring the best out in others in the team around him. Tod has the leadership and integrity that you can count on in any organization. He thoughtfully considers the challenges put in front of him and brings the necessary resources to the table. It has been a pleasure working with him. Tod is a consummate professional that is deeply respected throughout the market. He leads with intense integrity and is someone you need to know if you want to integrate into the Northwest market.